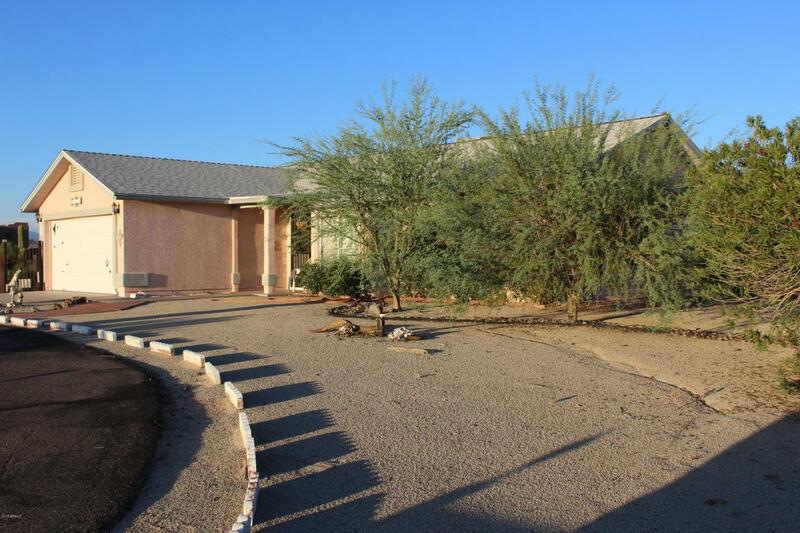 With Beautiful Views of the Superstitions and Goldfields this is a Great Horse Property Close to Town with a Split Master Floor Plan with 3 bedrooms and 2 baths and a Great Room with Plantation Shutters and Tile everywhere. 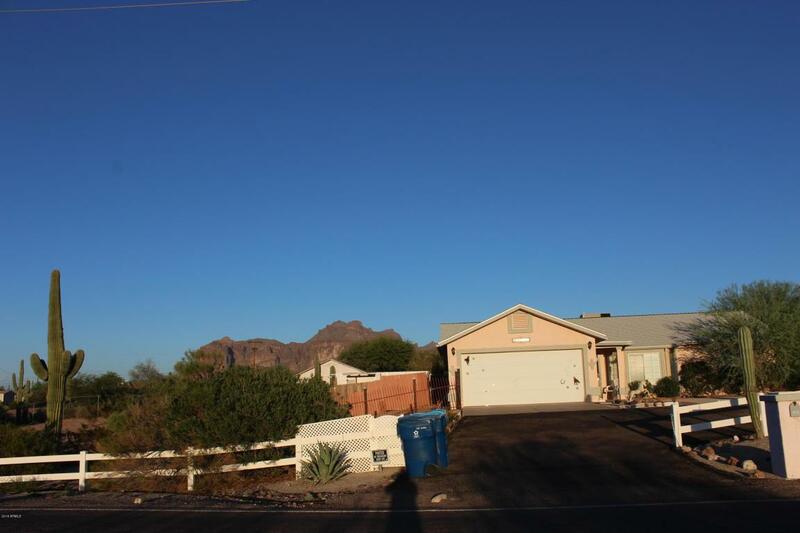 This home has NO HOA so bring your Toys and spread out over 1.25 acres with a 2 Car Garage, 3 Storage Sheds and a Circular Drive on a Corner lot with easy access to Park your RV, Boat or Semi. Enjoy the Stars and the unique Sonoran Desert Wildlife! 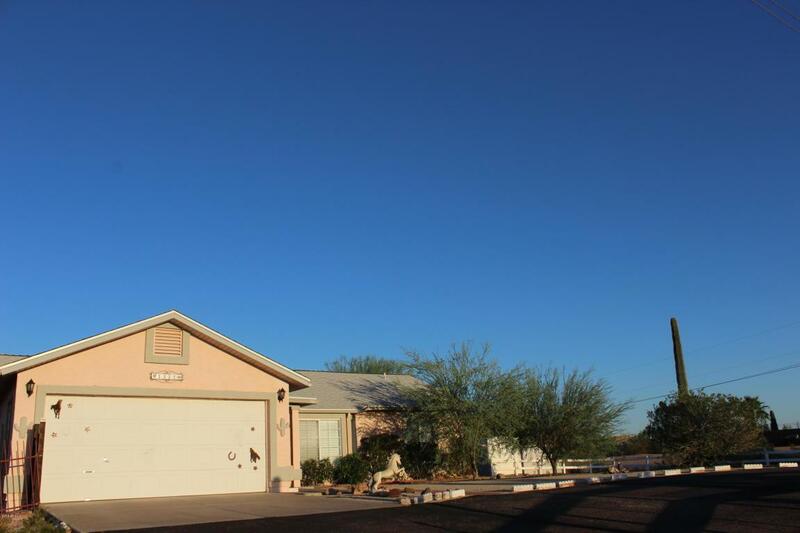 Close to Lakes and Recreation areas and minutes away from Hiking in Tonto National Forest but still Freeway close.. 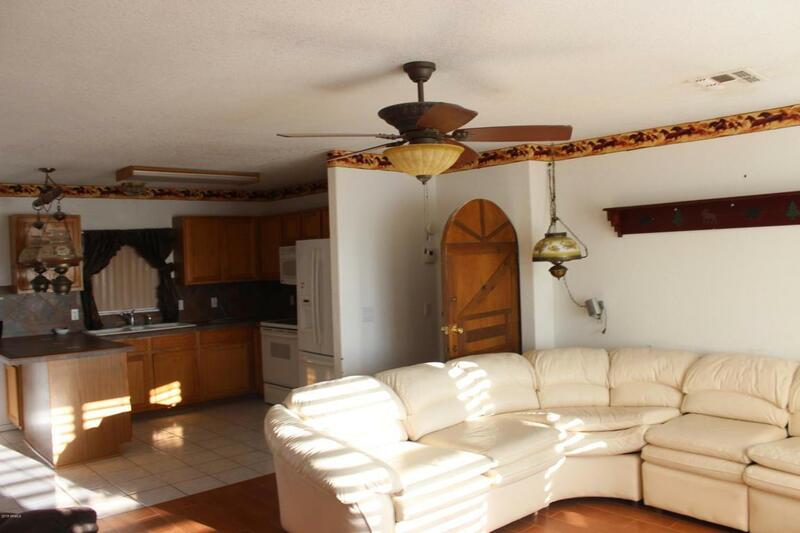 Buyers to verify all material facts and figures.